Microwave (MW) thermal heating has been proposed as an efficient method for honey liquefaction, while maintaining honey quality criteria. However, little is known about the effects of MW thermal heating on honey antibacterial activity. In this study, we aimed to determine the effects of MW heating on the antibacterial activity of raw rapeseed honeys against Pseudomonas aeruginosa and Staphylococcus aureus, with a particular focus on two major bee-derived antibacterial components, defensin-1 and hydrogen peroxide (H2O2). Our results demonstrated that MW thermal heating completely abolished honey antibacterial activity whereas conventional thermal treatment at 45 and 55°C did not affect the antibacterial activity of honey samples. A significant decrease in both glucose oxidase activity and H2O2 production as well as defensin-1 amount was observed in MW-treated samples. Given that defensin-1 and H2O2 are regular antibacterial components of all honeys, MW heating may have similar negative effects on every type of crystallized/liquid honey. Due to various pharmacological properties, including antioxidative, anti inflammatory and antibiotic properties, royal jelly (RJ) has been widely consumed in daily diets in numerous countries. In the present study, the effect of RJ on 4T1 bearing mice was investigated. The study was performed by feeding 4T1 bearing mice with RJ using either the prophylactic therapeutic (PTRJ) or therapeutic (TRJ) method. The experimental results for the PTRJ group demonstrated that the weight of tumor was significantly reduced (RJ 0.5 and 1.5 g/kg); and in the serum, the levels of interleukin (IL) 2 (RJ 0.5 and 1.5 g/kg), interferon (IFN) α, superoxide dismutase (SOD) and total antioxidant capacity (T AOC) were significantly elevated, but the concentrations of IL 4 (RJ 0.5 and 1.5 g/kg) and IL 10 (RJ 1.0 g/kg) were significantly decreased. In addition, the activities of T AOC and glutathione reductase (GR) were significantly improved in the liver, whereas in the kidney, the activities of T AOC and GR were significantly increased only under the dose of 0.5 g/kg. For the TRJ group, the antitumor effect of RJ was not significant; the change in IL 2, IFN α, SOD and T AOC levels in the serum, and the change in T AOC and GR in liver were similar to those observed in the PTRJ groups. 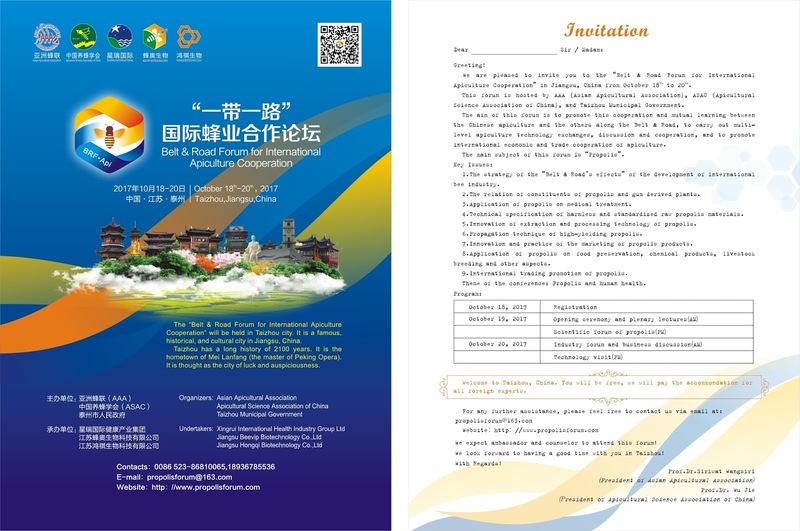 RJ treatment was demonstrated to reduce the development of breast tumor in mice, and simultaneously improve the antioxidant capacity of the serum, liver and kidney, particularly using the prophylactic therapeutic method. These results corroborated the efficacy of RJ supplementation in diets. The results of the present study suggest that the antioxidant and immunomodulatory activities of RJ serve an important role on antitumor growth. A. cerana honey, gathered from Apis cerana Fabricius (A. cerana), has not been fully studied. Samples of honey originating from six geographical regions (mainly in the Qinling Mountains of China) were investigated to determine their antioxidant and hepatoprotective effects against acute alcohol-induced liver damage. Honey is known for its therapeutic properties from ancient civilizations but only since last few decades its mechanism has been studied on how it causes epithelial regeneration leading to wound and ulcer healing.. In the present review the health perspectives of honey, its chemical composition with special reference to flavonoids, polyphenol composition and other bioactive trace compounds used in tissue regeneration have been highlighted. Honey can inhibit carcinogenesis by moderating with molecular processes of initiation, advancement and progression stage of cancer cells, therefore it is considered a promising anti-cancer agent. 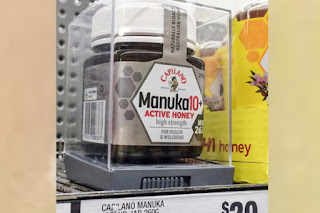 Several, well-intentioned characteristics have drawn the attention of researchers to check copious endowed-biological activities of Manuka honey, including antioxidant, antimicrobial and anti-proliferative capacities against cancer cells. Thus, scientists are trying to use Manuka honey in the area of biomedical and tissue engineering to design a template for regeneration. Naturally derived antibacterial agents, like Manuka honey, contain mixture of compounds, which can influence antibacterial potency. The non-peroxide bacteriostatic properties of Manuka honey have been formerly associated to the presence of methylglyoxal (MGO). The assimilation of MGO as a functional antibacterial additive during designing a tissue template production would explore its properties as a potential agent for manufacturing tissue regeneration template. The role of glyoxal (GO) and MGO in the bacterial growth inhibition, and in addition to immunomodulatory role, it also enhances wound healing and tissue regeneration. Researchers should step forward to explore the biomedical application, particularly integration into tissue regeneration templates. Therefore, further studies are fully needed to provide detailed information on active components of Manuka honey and their potential therapeutic efficacy in numerous models of human diseases. 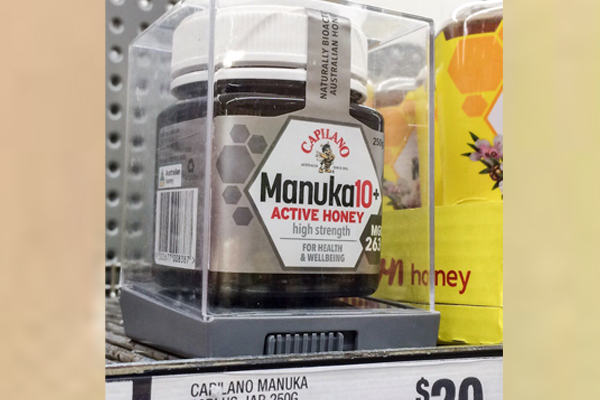 Australia and New Zealand are locked in a battle over ownership of the word ‘manuka’ as the expensive honey’s popularity booms. 2. Honey, onion and milk. This tool should be taken as a cough syrup, a teaspoon every hour for 1-2 days. Chop a large onion and pour it into a saucepan, pour a glass of milk and simmer over low heat until until the onions are soft. Then strain the onion in the milk and let it cool slightly and add 1 tsp of honey for 1 tbsp. of the milk decoction. 3. Honey, propolis and butter. Grind 10 g of a dry propolis with the help of a grater, melt 100 g of butter and let it cool down, then mix and add 100 g of honey. Make in half a Cup of boiled warm water add 1 tsp funds, which must be kept in the fridge, stir thoroughly and drink. Repeat the procedure 2-3 times a day. Bee venom contains a variety of peptide constituents, including low-molecular-weight protease inhibitors. 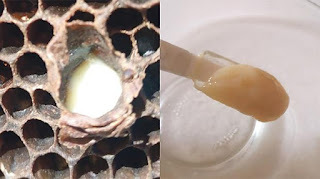 While the putative low-molecular-weight serine protease inhibitor Api m 6 containing a trypsin inhibitor-like cysteine-rich domain was identified from honeybee (Apis mellifera) venom, no anti-fibrinolytic or anti-microbial roles for this inhibitor have been elucidated. In this study, we identified an Asiatic honeybee (A. cerana) venom serine protease inhibitor (AcVSPI) that was shown to act as a microbial serine protease inhibitor and plasmin inhibitor. AcVSPI was found to consist of a trypsin inhibitor-like domain that displays ten cysteine residues. Interestingly, the AcVSPI peptide sequence exhibited high similarity to the putative low-molecular-weight serine protease inhibitor Api m 6, which suggests that AcVSPI is an allergen Api m 6-like peptide. 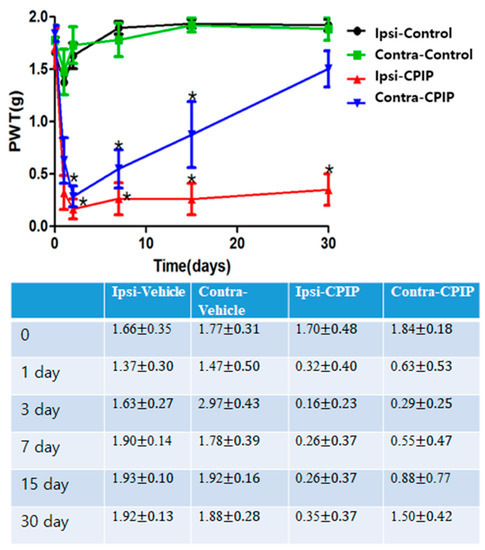 Recombinant AcVSPI was expressed in baculovirus-infected insect cells, and it demonstrated inhibitory activity against trypsin, but not chymotrypsin. 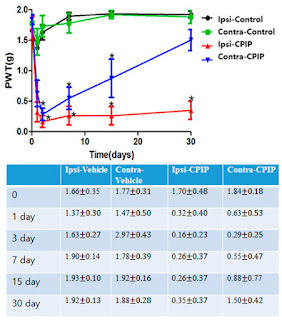 Additionally, AcVSPI has inhibitory effects against plasmin and microbial serine proteases; however, it does not have any detectable inhibitory effects on thrombin or elastase. Consistent with these inhibitory effects, AcVSPI inhibited the plasmin-mediated degradation of fibrin to fibrin degradation products. AcVSPI also bound to bacterial and fungal surfaces and exhibited anti-microbial activity against fungi as well as gram-positive and gram-negative bacteria. These findings demonstrate the anti-fibrinolytic and anti-microbial roles of AcVSPI as a serine protease inhibitor. Neuropathic pain in a chronic post-ischaemic pain (CPIP) model mimics the symptoms of complex regional pain syndrome type I (CRPS I). The administration of bee venom (BV) has been utilized in Eastern medicine to treat chronic inflammatory diseases accompanying pain. However, the analgesic effect of BV in a CPIP model remains unknown. The application of a tight-fitting O-ring around the left ankle for a period of 3 h generated CPIP in C57/Bl6 male adult mice. 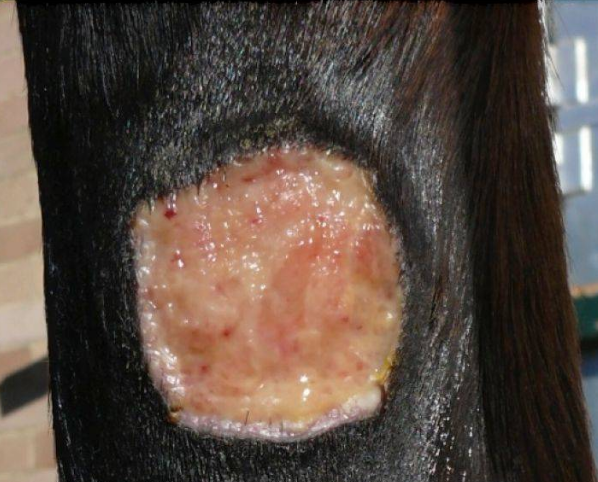 BV (1 mg/kg ; 1, 2, and 3 times) was administered into the SC layer of the hind paw, and the antiallodynic effects were investigated using the von Frey test and by measuring the expression of neurokinin type 1 (NK-1) receptors in dorsal root ganglia (DRG). The administration of BV dose-dependently reduced the pain withdrawal threshold to mechanical stimuli compared with the pre-administration value and with that of the control group. After the development of the CPIP model, the expression of NK-1 receptors in DRG increased and then decreased following the administration of BV. In the present review the health perspectives of honey, its chemical composition with special reference to flavonoids, polyphenol composition and other bioactive trace compounds used in tissue regeneration have been highlighted. Honey can inhibit carcinogenesis by moderating with molecular processes of initiation, advancement and progression stage of cancer cells, therefore it is considered a promising anti-cancer agent. Several, well-intentioned characteristics have drawn the attention of researchers to check copious endowed-biological activities of Manuka honey, including antioxidant, antimicrobial and anti-proliferative capacities against cancer cells. Thus, scientists are trying to use Manuka honey in the area of biomedical and tissue engineering to design a template for regeneration. Naturally derived antibacterial agents, like Manuka honey, contain mixture of compounds, which can influence antibacterial potency. The non-peroxide bacteriostatic properties of Manuka honey have been formerly associated to the presence of methylglyoxal (MGO). The assimilation of MGO as a functional antibacterial additive during designing a tissue template production would explore its properties as a potential agent for manufacturing tissue regeneration template. The role of glyoxal (GO) and MGO in the bacterial growth inhibition, and in addition to immunomodulatory role, it also enhances wound healing and tissue regeneration. Researchers should step forward to explore the biomedical application, particularly integration into tissue regeneration templates. Therefore, further studies are fully needed to provide detailed information on active components of Manuka honey and their potential therapeutic efficacy in numerous models of human diseases. Researchers at United Arab Emirates University (UAEU) have taken their groundbreaking studies into the role of honey in battling cancer a step further, through new findings that pinpoint its potential impact. 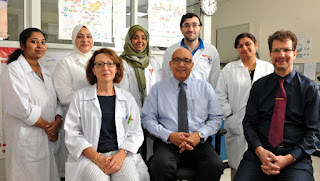 The beneficial effects of Manuka honey — renowned for its anti-bacterial properties and capacity to heal wounds — as an anti-cancer agent were identified in 2013 by a research group headed by Dr. Basel Al-Ramadi, then chair of the Department of Medical Microbiology and Immunology within UAEU’s College of Medicine and Health Sciences (CMHS). Propolis is a complex bioactive mixture produced by bees, known to have different biological activities, especially in countries where there is a rich biodiversity of plant species. The objective of this study was to determine the chemical composition and evaluate the antioxidant and cytotoxic properties of Brazilian propolis from the species Plebeia droryana and Apis mellifera found in Mato Grosso do Sul, Brazil. In the ethanolic extracts of P. droryana propolis (ExEP-P) and A. mellifera (ExEP-A) acids, phenolic compounds, terpenes and tocopherol were identified as major compounds. Both extracts presented antioxidant activity against the 2,2-diphenyl-1-picrylhydrazyl (DPPH) free radical, the maximum activities being 500 μg/mL (ExEP-P) and 300 μg/mL (ExEP-A). However, only ExEP-A was able to inhibit lipid peroxidation induced by the oxidizing agent 2,2'-azobis(2-amidinopropane) dihydrochloride (AAPH), which inhibited oxidative hemolysis and reduced the levels of malondialdehyde (MDA) in human erythrocytes for 4 h of incubation. The extracts also reduced the cell viability of the K562 erythroleukemia tumour line, with a predominance of necrotic death. Thus, it is concluded that the propolis produced by P. droryana and A. mellifera contain important compounds capable of minimizing the action of oxidizing substances in the organism and reducing the viability of erythroleukemia cells. 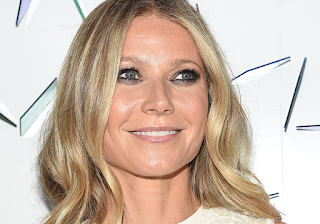 Gwyneth Paltrow's premiere issue of Goop magazine hit yesterday for pre-order and, besides a pretty revealing cover shot of the star, she gets into something she swears by that may have some people—not too surprisingly—scratching their heads: Bee venom injections in her C-section scar. As reported on by Us, the 44-year-old shared that, "The doctor stings you [with a live bee] like it's an acupuncture needle. I had it done on my cesarean scar… I had some buckling in the scar, and it really evened it out." Sounds out there but New York dermatologist Adebola Dele-Michael, MD, says bee venom contains hyaluronidase and other substances, which can soften scar tissue and keloids, but stresses that "caution must be taken with this treatment as some people are allergic to bee venom and may develop anaphylaxis when exposed to bee venom." Chemical composition, anti-proliferative and proapoptotic activity as well as the effect of various fractions of Lebanese propolis on the cell cycle distribution were evaluated on Jurkat leukemic T-cells, glioblastoma U251 cells, and breast adenocarcinoma MDA-MB-231 cells using cytotoxic assays, flow cytometry as well as western blot analysis. Liquid chromatography-tandem mass spectrometry (LC-MS/MS) analysis revealed that ferulic acid, chrysin, pinocembrin, galangin are major constituents of the ethanolic crude extract of the Lebanese propolis, while the hexane fraction mostly contains chrysin, pinocembrin, galangin but at similar levels. Furthermore chemical analysis was performed using gas chromatography-mass spectrometry (GC-MS) to identify major compounds in the hexane fraction. Reduction of cell viability was observed in Jurkat cells exposed to the ethanolic crude extract and the hexane fraction, while viability of U251 and MDA-MB-231 cells was only affected upon exposure to the hexane fraction; the other fractions (aqueous phase, methylene chloride, and ethyl acetate) were without effect. Maximum toxic effect was obtained when Jurkat cells were cultivated with 90μg/ml of both the crude extract and hexane faction. Toxicity started early after 24h of incubation and remained till 72h. Interestingly, the decrease in cell viability was accompanied by a significant increase in p53 protein expression levels and PARP cleavage. Cell cycle distribution showed an increase in the SubG0 fraction in Jurkat, U251 and MDA-MB-231 cells after 24h incubation with the hexane fraction. This increase in SubG0 was further investigated in Jurkat cells by annexinV/PI and showed an increase in the percentage of cells in early and late apoptosis as well as necrosis. In conclusion, Lebanese propolis exhibited significant cytotoxicity and anti-proliferative activity promising enough that warrant further investigations on the molecular targets and mechanisms of action of Lebanese propolis. While Manuka honey in vitro is strongly antimicrobial, there have been, to the best of the authors' knowledge, no studies showing that dressings impregnated with Manuka honey can kill organisms in the dressing itself. The investigators used the American Association of Textile Chemists and Colorists' 100 test methodology to compare honey-impregnated dressings with control dressings (without honey) on the ability to kill common wound pathogens. Organisms were chosen after a review of the causal organisms found in actual wound infections over a 12-month period in a busy outpatient wound clinic. Even when the dressings were challenged daily with further inoculated organisms, > 5-log reductions were routinely noted across a range of pathogens, including multiple drug-resistant species using dressings containing Manuka honey relative to the control. Manuka honey with a high UMF rating is significantly more effective than examples with a low rating, or regular honey, in improving wound healing, new research shows. Researchers at the University of Sydney compared the effectiveness of manuka honey of different UMF (unique manuka factor) ratings (ranging from 5 to 20 depending on antibacterial activity) and ordinary, store-bought honey in healing large, bloody wounds on horses' legs. They said the results were "quite remarkable" and applicable to humans. Propolis is a resinous mixture collected and used by the honey bees to construct and repair their hives. The component of propolis varies depend on the type of the plants collected. Propolis and its constituents have been subjected to many studies and are known for their antioxidant, antimicrobial and anticarcinogenic properties. In our study, antioxidant and antitumor capacity of propolis from Konya Sakyatan and Kiziloren regions were investigated. According to our result, Kızıloren propolis sample possesses higher antioxidant component and antioxidant capacity than Sakyatan sample. Accordingly, Kiziloren sample showed antiproliferative effect at much lower doses compared to the Sakyatan sample. Both samples effectively inhibited the migration of cancer cells at their determined IC50 dosages. Obtained data indicates that constituents of propolis can greatly vary from one sample to another even in the same region and propolis selections for cancer prevention and treatment studies should be carefully considered. Most cancer cells exhibit a defect in their capacity to mature into nonreplicating adult cells and existing in a highly proliferating state. Differentiation therapy by agents such as 1,25-dihydroxyvitamin D3(1,25-(OH)2 VD3) represents a useful approach for the treatment of cancer including acute myeloid leukemia. Human myeloid leukemia cell lines are induced to terminal differentiation into monocyte lineage by 1,25-(OH)2 VD3. However, usage of these findings in the clinical trials is limited by calcemic effects of 1,25-(OH)2 VD3. Attempts to overcome this problem have focused on a combination of low concentrations 1,25-(OH)2 VD3 with other compounds to induce differentiation of HL-60 cells. In this study, the effect of honey bee venom (BV) and 1,25-(OH)2 VD3, individually and in combination, on proliferation and differentiation of human myeloid leukemia HL-60 cells were assayed. In this in vitro study, toxic and nontoxic concentrations of BV and 1,25-(OH)2 VD3 were tested using Trypan blue stained cell counting and (3[4, 5-dimethylthiazol-2-yl]-2,5-diphenyltetrazolium bromide) assay. In addition, differentiation of cells was assayed using a Wright-Giemsa staining and nitroblue tetrazolium reduction test. Data were analyzed by a one-way analysis of the variance test using SPSS software. Our findings showed that both the BV and 1,25-(OH)2 VD3, in a dose and time-dependent manner, caused cell death at high concentrations and inhibited cell proliferation at lower concentrations. About 5 nM of 1,25-(OH)2 VD3 induced differentiation of HL-60 cells to monocytes after 72 h. 2.5 μg/ml of BV suppressed proliferation of HL-60 cells but had not any effects on their differentiation, whereas in combination with 5 nM of 1,25-(OH)2 VD3, it enhanced antiproliferative and differentiation potency of 1,25-(OH)2 VD3. These results indicate that BV potentiates the 1,25-(OH)2 VD3-induced HL-60 cell differentiation into monocytes. In honeybee colonies, the queen can easily be identified because she is larger than all of her workers. As it turns out, the early diet of bees determine which bee will be the fertile queen and which will be the sterile workers. The prevailing view when it comes to the development of honeybees' social status is that what they eat as larvae determines whether they will become the fertile queen or one of the sterile workers. Now researchers are close to understanding just how honeybee diets affect their future roles in the colony. There is renewed interest in the potential use of natural compounds in cancer therapy. Previously, we demonstrated the anti-tumor properties of manuka honey (MH) against several cancers. However, the underlying mechanism and molecular targets of this activity remain unknown. For this study, the early targets of MH and its modulatory effects on proliferation, invasiveness, and angiogenic potential were investigated using two human breast cancer cell lines, the triple-negative MDA-MB-231 cells and estrogen receptor-positive MCF-7 cells, and the non-neoplastic breast epithelial MCF-10A cell line. Exposure to MH at concentrations of 0.3-1.25% (w/v) induced a dose-dependent inhibition of the proliferation of MDA-MB-231 and MCF-7, but not MCF-10A, cells. This inhibition was independent of the sugar content of MH as a solution containing equivalent concentrations of its three major sugars failed to inhibit cell proliferation. At higher concentrations (> 2.5%), MH was found to be generally deleterious to the growth of all three cell lines. MH induced apoptosis of MDA-MB-231 cells through activation of caspases 8, 9, 6, and 3/7 and this correlated with a loss of Bcl-2 and increased Bax protein expression in MH-treated cells. Incubation with MH induced a time-dependent translocation of cytochrome c from mitochondria to the cytosol and Bax translocation from the cytosol into the mitochondria. MH also induced apoptosis of MCF-7 cells via the activation of caspases 9 and 6. Low concentrations of MH (0.03-1.25% w/v) induced a rapid reduction in tyrosine-phosphorylated STAT3 (pY-STAT3) in MDA-MB-231 and MCF-7 cells. Maximum inhibition of pY-STAT3 was observed at 1 h with a loss of >80% and coincided with decreased interleukin-6 (IL-6) production. Moreover, MH inhibited the migration and invasion of MDA-MB-231 cells as well as the angiogenic capacity of human umbilical vein endothelial cells. Our findings identify multiple functional pathways affected by MH in human breast cancer and highlight the IL-6/STAT3 signaling pathway as one of the earliest potential targets in this process.